The Immigrant Council of Ireland recently announced that 50 racist incidents were reported in the 10 weeks since they started an awareness campaign highlighting racism on public transport. The Integration Centre also released a new report indicating a hardening of attitudes towards migrants. That report, based on a survey of 150 people who accessed the Centre for information on citizenship and living in Ireland, points out that 87% of those surveyed had experienced racism while only 13% reported it. In Doras Luimní, we have come across numerous instances of racism, which has not been reported to the Gardaí. Official statistics show that 97 incidents of racism were reported to the Gardaí between 2011 and 2012. There is a stark difference between the Irish data on racist incidents and the corresponding reports in England and Wales, where the number of racist incidents were recorded at 47,678 for the same period. 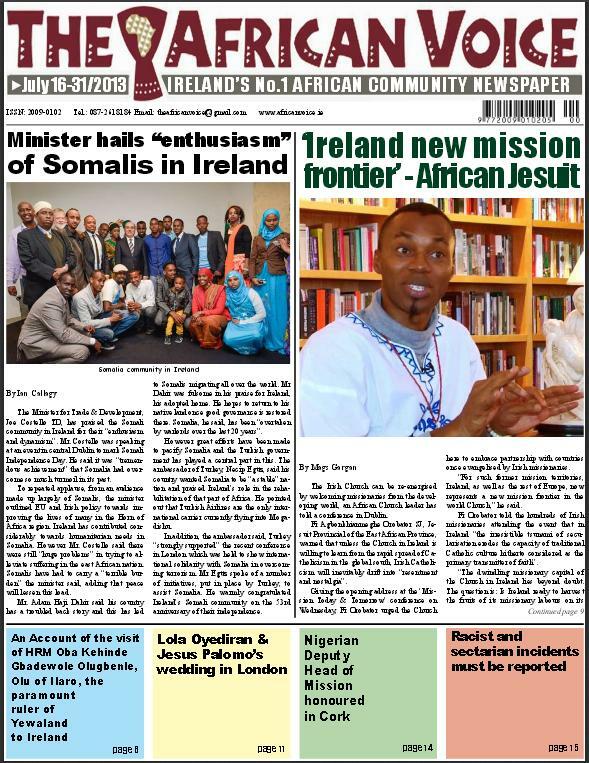 It becomes apparent that the reports to the Gardaí as well as the figures from NGOs such as Doras Luimní, the Integration Centre, and the Immigrant Council are only scratching the surface when it comes to documenting the level of racism in Ireland. Why is racism not reported to the same extent in Ireland as it is in other places? Many migrants can relate to experience of being treated unfairly because of their accent, colour of their skin, or because the offending party perceives them as being ‘foreign’. Racism exists in Ireland and is more prevalent than the figures show, however there are a number of obstacles to reporting racism in Ireland. To begin with, many of those who are the victim of racism can be reluctant to approach the Gardaí with the information. Additional obstacles include the fact that many people feel that reporting does not have an impact. They may also be unsure if what has happened would qualify as a racist incident, and/or they simply do not know where or how to report an incident. Being aware of these obstacles may help us to overcome them. Another barrier cited by those who have reported to Doras Luimní is that people don’t report racism because they are unsure if an incident qualifies as racism. To overcome this uncertainty, the Gardaí use what is referred to as the ‘McPherson definition of racism’, which grew out of the Stephen Lawrence case in the UK. The McPherson definition states that a racist incident is “any incident which is perceived to be racist by the victim of any other person”. We believe that one way to ensure wider reporting is to provide a third-party reporting mechanism. The Irish branch of the European Network Against Racism (ENAR Ireland) is in the best position to provide a nation-wide third-party reporting mechanism. In the past, NGOs have attempted to address the gap in recording racist incidents by providing their own third-party reporting systems. While this provided an avenue for reporting racism, it has lacked clear coordination between the groups nationally. ENAR Ireland has developed and is launching a new mechanism to streamline the reporting process for all organisations and individuals: www.iReport.ie. 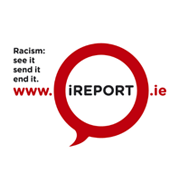 Using a web-based reporting system iReport.ie will provide the first national reporting mechanism that can be used by organisations and individuals to combat racism. The iReport.ie web-based reporting system ensures that the reporting process is a national one that includes all of the groups working with migrants and others who face racism. However, iReport is not limited to NGOs or voluntary organisations. The central aim of iReport is to promote accessibility, so that anyone can report racism via a desktop, laptop, or smartphone. The iReport system is not designed to replace reporting racist incidents to the Gardaí, but instead is meant to complement it. ENAR Ireland and its member organisation are supportive of the reporting of incidents to the Gardaí as there are laws to deal with racism such as the Incitement to Hatred Act, 1989, the Equal Status Act 200, the Employment Equality Act 1998, Non-Fatal Offences Against the Persons Act, 1997, and the Criminal Justice (Public Order) Act which can be used to prosecute racist crime. Still, there is room for reform in ensuring greater effectiveness of Irish law in dealing with issues of racism and hate crime and this remains a future challenge, but it is a challenge that will be very hard to overcome unless we are armed with the right statistics and data on racism in Ireland. iReport.ie will give the power to the people to report racism where they see it, allow them to send it using technology, and ultimately to help end it. Author: Dr Matt Canon is the integration policy officer with Doras Luimní, an independent, non-profit, non-governmental organisation working to support and promote the rights of all migrants living in Limerick and the wider Mid-West region. He is also a lecturer at the University of Limerick.